Detailed Info Page for 3C219. Follow this link to the DRAGN page for 3C 219. 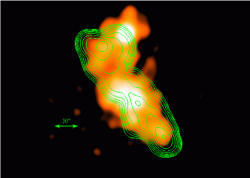 Additional MRAO and VLA images available from NED. The data for this page were last modified on Wed Jun 27 19:10:57 2012.